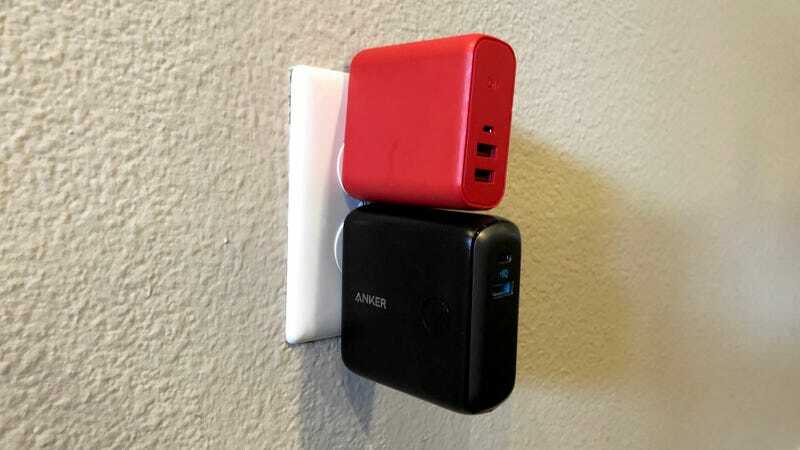 Anker promoted the original Fusion as a melding of the company’s ubiquitous PowerCore battery packs and PowerPort USB wall chargers. One charger to rule them all! 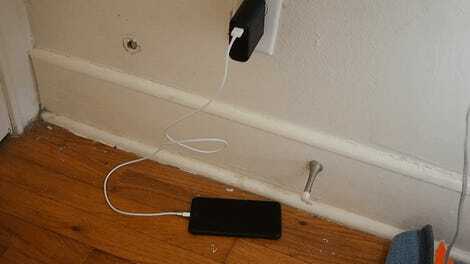 And it’s true, you can certainly use the Fusion as a wall charger. But where I think it really excelled was as a portable battery. The design improved on every other battery Anker sold by adding fold-out wall prongs for dead-simple recharging, no cord or USB charger required. That meant you could pack less gear, and still be assured of a fully charged battery. Every time I visit my mother in law, I plug in the Fusion to charge during the day, and then unplug it and bring it to my nightstand to charge my phone and watch at night, since there isn’t a power outlet near the bed. Could I do this with a regular battery pack? Sure, but it would require two more pieces of equipment; it’s just so much simpler to plug the battery straight into the wall. But of course, that battery makes the Fusion far larger and heavier than any two-port USB wall charger needs to be. Just like Justin Timberlake can act, but really ought to stick to music, the PowerCore Fusion can be your main wall charger, but it shines as a battery. And so I’m pleased the Fusion 10000 doubles down on the battery side of the equation, literally. As in, double the capacity. 10,000mAh to be precise, up from 5,000. And despite all that extra battery, the new model isn’t that much larger than the original, and is only three ounces heavier. For context, 5,000mAh is enough for a full phone charge and not much else, while 10,000mAh gives you a lot more breathing room. Another nice touch: the power button on the side now incorporates a ring of eight LEDs to let you know how much juice the battery has left, versus a row of only three status lights on the original. For these reasons alone, the Fusion 10000 is a worthwhile upgrade. That extra size and weight does matter though when you’re using the new Fusion as a wall charger. While it holds steady in the power outlets in my relatively new apartment, I could definitely see it being more prone to slipping out of heavily used and abused public outlets in airports, airplanes, coffee shops, and the like. That was the Fusion’s biggest shortcoming, in my experience, and the Fusion 10000 only exacerbates it. But the most immediately noticeable difference between the original and the sequel is the inclusion of a USB-C port in lieu of one of the original’s USB ports. But tragically, and for reasons that I assume have to do with component size and heat, it isn’t a USB-C Power Delivery port. Its 15W maximum output is only slightly higher than the 12W USB-A port, and so it’s really a matter of form factor, more than charging speed. If you have a lot of USB-C cables for your various devices, this is fine. If not, it might actually be a step backwards for you, albeit a temporary one as more and more device and cables manufacturers continue to embrace USB-C.
And so, at $46, the Fusion 10000 is a somewhat pricey, but largely worthwhile upgrade for any of my fellow PowerCore Fusion fans out there. USB-C PD would have made it just about perfect, but there’s still a lot to love about a 10,000mAh battery pack that you can plug straight into the wall. Anker’s also still selling the original Fusion for about $26, and it continues to be a terrific product at that price.